I need to start of by thanking Chronos Books for sending me “Lady Katherine Knollys” to review. I have never read anything by Sarah-Beth Watkins and the topics of her books interested me. Katherine Knollys was Mary Boleyn’s first child, born in 1524 when Mary was having an affair with King Henry VIII. Katherine spent her life unacknowledged as the king’s daughter, yet she was given prime appointments at court as maid of honour to both Anne of Cleves and Katherine Howard. She married Francis Knollys when she was 16 and went on to become mother to many successful men and women at court including Lettice Knollys who created a scandal when she married Sir Robert Dudley, the queen’s favourite. 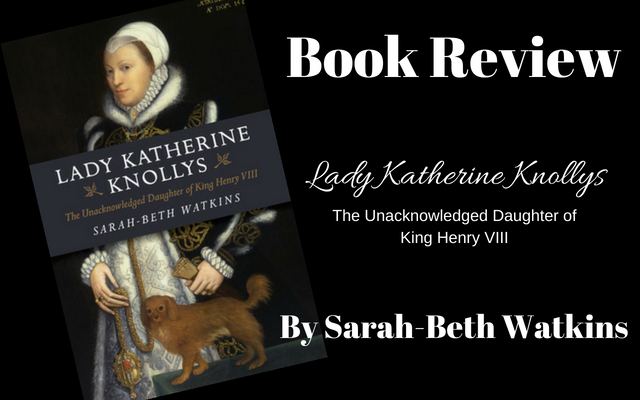 This fascinating book studies Katherine’s life and times, including her intriguing relationship with Elizabeth I.
Katherine Carey was the daughter of Mary Boleyn and….well, one must presume her husband, William Carey, right? Well, the debate over centuries has been that Katherine Carey was the illegitimate daughter of King Henry VIII. If Katherine was indeed the daughter of the king then nobody could know because it would have ruined everything that Henry had built for himself. The problem with that stance was that the same thing was happening with his relationship with Anne Boleyn. Henry had slept with her sister – he had uncovered her sister’s nakedness. If word got out that Katherine Carey was the secret love child of Henry and Mary, everything would have been ruined for the two star-crossed lovers (Henry and Anne). This concern continued for decades. Queen Elizabeth appears to have had an affinity for her cousin. Was she aware that she was her half-sister? If she was, she also could not say anything because it would cause issue with her own position as Queen as England since she was the daughter of Henry and Anne Boleyn. Katherine Knollys was indeed a fascinating “character” from Tudor court. There is no doubt that she lived an exciting life at court and that she loved her husband Francis Knollys, whom she married at 16 years old. Any part of this book that talked about Katherine was interesting to read, because, let’s be honest, it was the title of the book. Unfortunately, most of the book is about what was occurring in England in Katherine’s lifetime, not necessarily about her life. There is not a whole lot of contemporary evidence about the life of Katherine (Carey) Knollys and so it came as no surprise to me that this book would not uncover anything I had not already known. The story is only 110 pages long and so I was able to knock it out in a few hours (and I’m a slow reader). 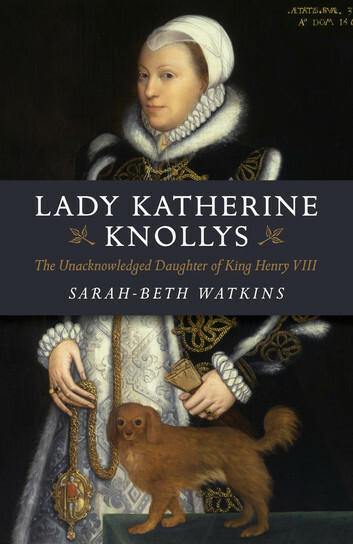 If you’re looking for a book that reveals new information about Lady Knollys, this is not the book for you. If you are new to the Tudor dynasty and have some interested in events occurring from 1524 to 1569 and illegitimate children of Henry VIII, then this is the book for you.